Two of the most pressing grand engineering challenges of our time include harnessing energy from new sources and increasing access to clean water. The Energy and Water, E&W, focus area concentrates on both the fundamental science around energy and water and on translating E&W discoveries into practical applications. We leverage our existing strengths in materials synthesis, such as polymers, quantum dots, nanoplates, and 1D/2D materials, via collaborative interactions with other departments such as Physics, Math, Chemistry, Biology, and Environmental Science & Engineering. Some of our most transformative work focuses on photonic solar cells, photovoltaic polymers, nanowire devices, computational methods, and 2D materials. The Curious Case of Fluorination of Conjugated Polymers for Solar Cells. Qianqian Zhang, Mary Allison Kelly, Nicole Bauer, and Wei You. Acc. Chem. Res., 2017, 50 (9), pp 2401–2409. Surpassing 10% Efficiency Benchmark for Nonfullerene Organic Solar Cells by Scalable Coating in Air from Single Nonhalogenated Solvent. Long Ye, Yuan Xiong, Qianqian Zhang, Sunsun Li, Cheng Wang, Zhang Jiang, Jianhui Hou, Wei You, Harald Ade. Advanced Materials, Volume 30, Issue 8, February 22, 2018, 1705485. Morphology, Structure, and Enhanced Intramolecular Conduction in Ultralong Conjugated Polymer Brushes. Ian A. VonWald , Mark M. Moog, Travis W. LaJoie, Joshua D. Yablonski, Dean M. DeLongchamp, Jason Locklin, Frank Tsui, and Wei You. J. Phys. Chem. C, 2018, 122 (14), pp 7586–7596. Defect passivation in hybrid perovskite solar cells using quaternary ammonium halide anions and cations. Xiaopeng Zheng, Bo Chen, Jun Dai, Yanjun Fang, Yang Bai, Yuze Lin, Haotong Wei, Xiao Cheng Zeng, and Jinsong Huang. Nature Energy volume 2, Article number: 17102 (2017). 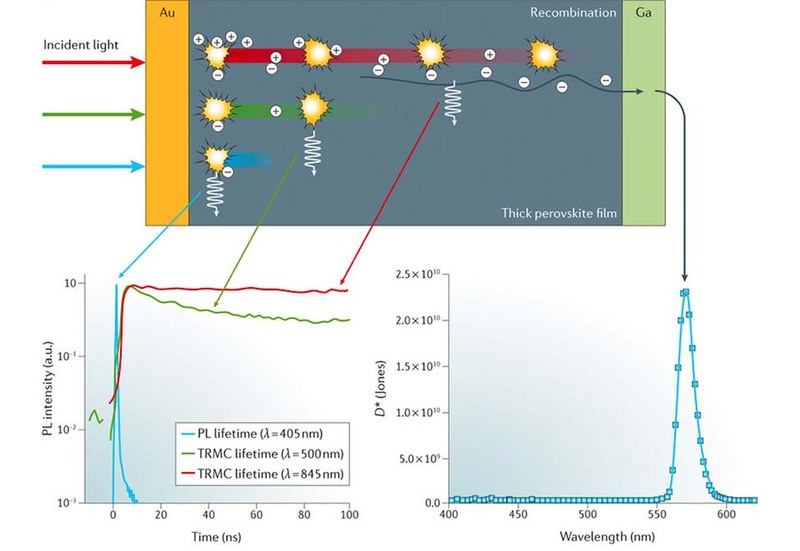 Understanding the physical properties of hybrid perovskites for photovoltaic applications. Jinsong Huang, Yongbo Yuan, Yuchuan Shao & Yanfa Yan. Nature Reviews Materials volume 2, Article number: 17042 (2017). 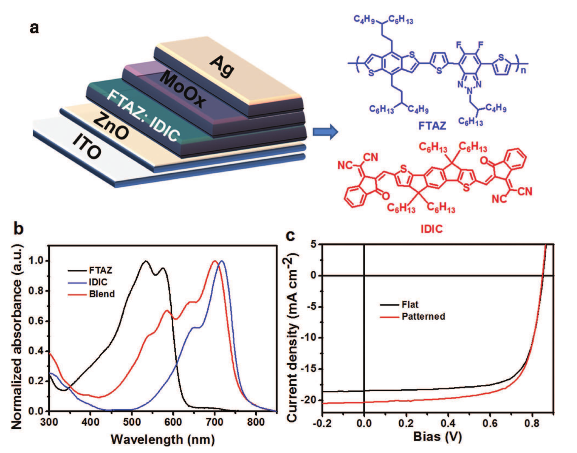 Surfactant-controlled ink drying enables high-speed deposition of perovskite films for efficient photovoltaic modules. Y. Deng, X. Zheng, Y. Bai, Q. Wang, J. Zhao and J. Huang. 'Nature Energy, May 14, 2018'. Molecular Doping Enabled Scalable Blading of Efficient Hole-Transport-Layer-Free Perovskite Solar Cells. Wu-Qiang Wu, Qi Wang, Yanjun Fang, Yuchuan Shao, Shi Tang, Yehao Deng, Haidong Lu, Ye Liu, Tao Li, Zhibin Yang, Alexei Gruverman, and Jinsong Huang. Nature Communicationsvolume 9, Article number: 1625 (2018).